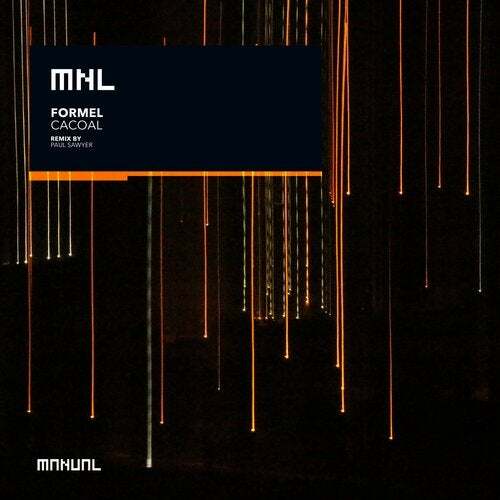 After having appeared on Manual Music a couple of times already, and with a brand new release on Manual coming up in the near future, this time we welcome Formel to our MNL label for a lovely proggy melodic effort titled 'Cacoal'. The Dutch duo have been around for quite some years now, and their music has seen the light of day via infamous labels such as Last Night On Earth, Replug, Beatfreak, Weiter, Sincopat, Einmusika and Traum. We're happy to call them one of our own, as they've also joined our recently launched Manual Bookings agency. 'Cacoal' is just another piece of evidence of their capability to write warm, dreamy but highly effective melodic music. On remix duties we welcome industry legend Paul Sawyer on the label for the very first time. The Krafted label boss has been a key player since the early nineties and we're delighted to have him on board, showcasing his effortless skills remixing the Formel guys. A delightful remix that will surely appeal to all the prog-heads out there.